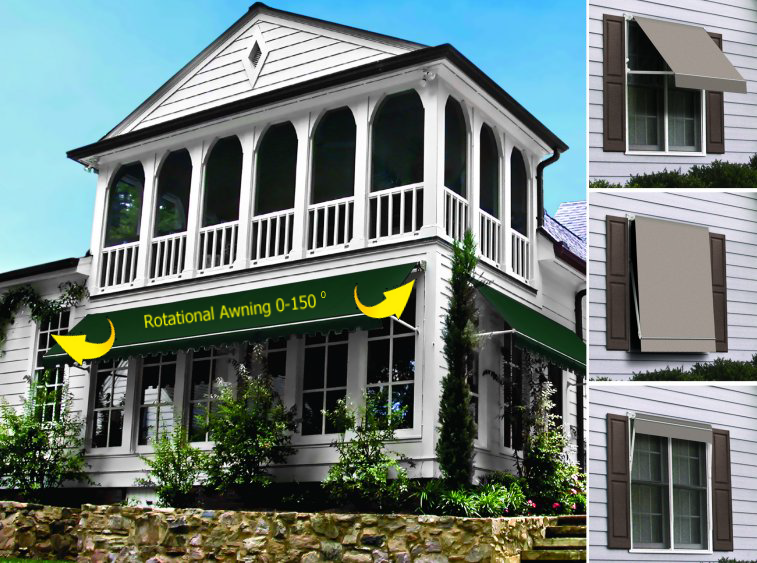 Customized Rotational Window Awnings That Offer Complete Sun Control. Sun or Shade --- it’s your choice with the Rotational Window Awning. With the widest variety of styles, colors and options to choose from, the Window Awnings offer a functional and versatile approach to sun protection for your home. The best place to block unwanted sun is from outside your house - because even if you use inside shades or blinds, once the sun has come through the window, the heat has come in too!